This little handbag tutorial is easier than it looks, because I’ve combined the structural interfacing with the interior fabric in the form of wool felt. Felt is stiff enough to give the bag shape and soft enough to act as the interior fabric, saving time and materials—not to mention it’s pretty! Download and cut out your pattern. Cut out your fabric pieces, so that they mirror each other. Pin your exterior fabric together right sides together and sew around the edge, leaving the top open. Fit your felt inside your turned-out exterior fabric. Align and pin your top pieces together (I had to trim going along, because the velvet shifted quite a bit in my sewing machine). Use a back stitch to affix your bag to the handles, making sure to pass your needle evenly through both pieces of fabric with every stitch. Tie off your thread and you’re finished! These would be cute for any ladies in your life who enjoy dainty purses! 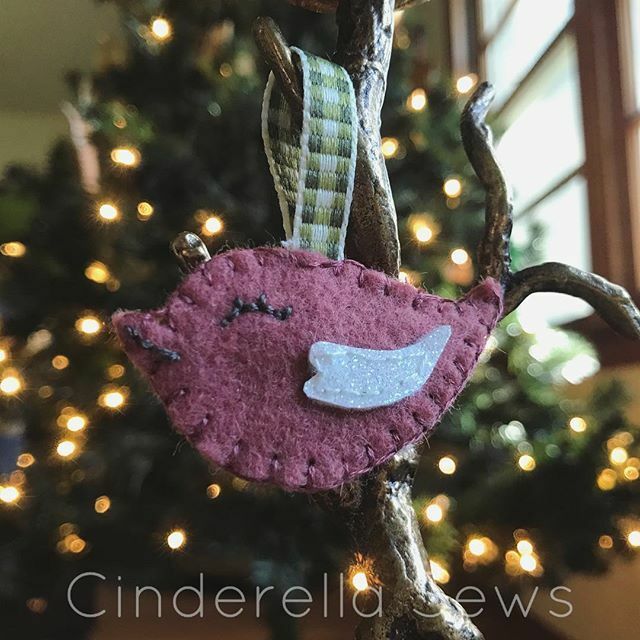 If you use the pattern and make one, please tag me on Instagram @cinderellasews or add a photo to the “tried it” section of Pinterest! Happy stitching!